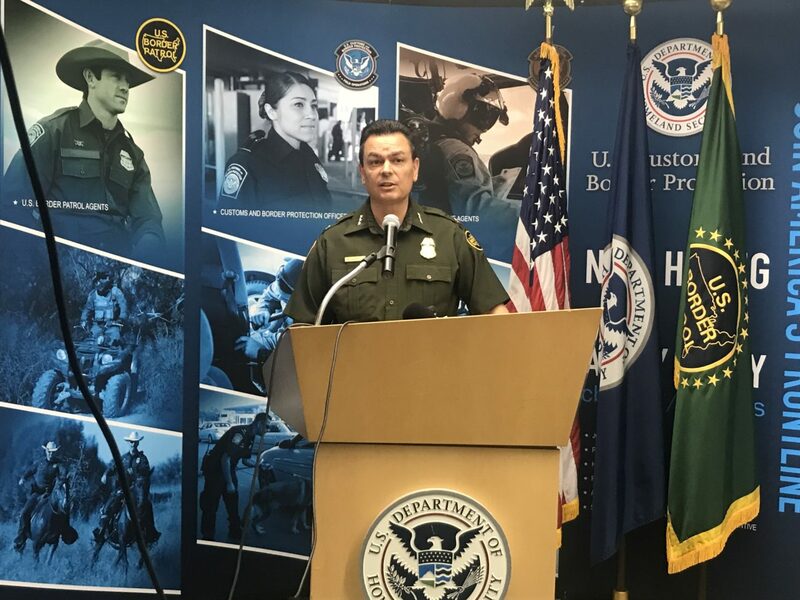 Chief Patrol Agent Rodolfo Karisch’s announcement came just hours after U.S. Customs and Border Protection Commissioner Kevin McAleenan said the agency had reached a “breaking point” and “is facing an unprecedented humanitarian crisis” along the southwest border during his visit to El Paso. Like the El Paso sector, Border Patrol agents in the Rio Grande Valley sector are apprehending unprecedented numbers of migrants a day. Agents in the Rio Grande Valley have apprehended 130,000 migrants since the start of the fiscal year and Karisch projected his sector will “easily” see 260,000 apprehensions by the end of the year. This is almost double last year’s 162,000 apprehensions. On Tuesday, agents in the RGV sector apprehended more than 1,750 migrants, Karisch said, the largest apprehensions made in a single day since mid-2014, when CBP started tracking this local data. These large daily numbers have put Border Patrol on pace to apprehend more than 100,000 migrants this month alone along the southwest border, McAleenan said. Border Patrol began releasing asylum-seeking migrants apprehended in the Valley last week without detaining them because CBP officials said its facilities were at capacity.